Tryggingamiðlun Íslands ehf (hereafter “TMI”) was founded in June 1997 by Karl Jónsson and is one of the largest and longest standing insurance agencies in Iceland. As of January 2010 the current owners, Friðbert Elí Friðbertsson and Gísli Ölvir Böðvarsson acquired the business after two years of being co-owners. TMI is a part of the Icelandic brokers association and is regulated by Fjármálaeftirlitið (FME – the Icelandic Financial Services Authority). TMI started its business with selling savings and insurance policies for the UK based companies Friends Provident International and AXA Sun Life. Today, TMI services over 20.000 policies from these companies. TMI has also from start been in collaboration with Baloise in Luxemburg (named Winterthur before) and is this collaboration supervised by Karl Jónsson. TMI’s main business partners today are Allianz, Vörður and Lloyd´s. The business done between TMI and Allianz, which started in last century, is in sales of pension schemes, monthly savings as well as life insurance and personal accident insurance. The business done between TMI and Vörður, a relationship for over 20 years, is mostly in life assurance and critical illness protection, as well as various non-life insurances (vehicle, home, contents, pet etc.). TMI also handle claims for the Swedish company Moderna that offers additional insurances with many electronics sold by Elko. TMI has been Coverholder at Lloyd´s since July 2017 and are able to offer various insurances through the Lloyd’s market. TMI’s international cooperation has again increased significantly over the past few years. Today we are in collaboration with big international companies like JLT International, Lockton Global and Gallagher Global Alliance to name a few. Through these collaboration TMI can offer financial and insurance advice abroad as well as work on their behalf in Iceland.  TMI has been awarded as one of Iceland‘s strongest companies for eight years running. Out of around 41.000 companies only 2% fulfilled the strict requirements of Creditinfo‘s assessments in 2018, and is TMI very proud to be part of that group. TMI is the only insurance broker to ever be nominated as one of Iceland’s strongest companies. TMI has in place a qualified sales team who have regular re-training sessions to ensure they are up to date on insurance, savings and pension developments in the market. TMI have highly skilled office staff that take care of customer service and back-office work for our distributors. Our Head of International Business is Atli Már Ólafsson. You are always welcome to contact him at atlimaro@tmi.is if you have any further questions and/or requests. You are of course also welcome to contact the office during office hours by tlf. +354-553-6688 or by email tmi@tmi.is. TMI is committed to protecting your privacy. To arrange insurance cover, handle insurance claims, and provide related services, TMI and other participants in the insurance industry are required to use and share Personal Data. For an overview of how and why the insurance industry is required to use and share Personal Data please see the Insurance Market Core Uses Information Notice hosted on the website of a UK insurance industry association, the Lloyd’s Market Association (the LMA Notice). TMI use of Personal Data is consistent with the LMA Notice. TMI’s data privacy statement can be found here.